The popular micro-blogging service Twitter, which has thus far has activated full SMS service in the US, Canada, UK and New Zealand, has ventured into the India via a recent tie-up with Bharti Airtel, the country's biggest mobile operator. In a Wednesday post on its official blog, Twitter said that its deal with Bharti Airtel will enable Twitter to send below-140-characters "tweets" at the rates of regular SMS messages and receive them for free. Referring to the singular advantage the micro-blogging service enjoys, Biz Stone, a co-founder of the San Francisco-based Twitter, said in a blog post: "In many parts of the world people do not have Internet access but they can text -- and that means they can access Twitter." The Twitter SMS service will likely gain popularity in a country like India, as against the mobile services that require Internet access, due to the fact that very small proportion of mobile phones in the country are Internet-enabled. 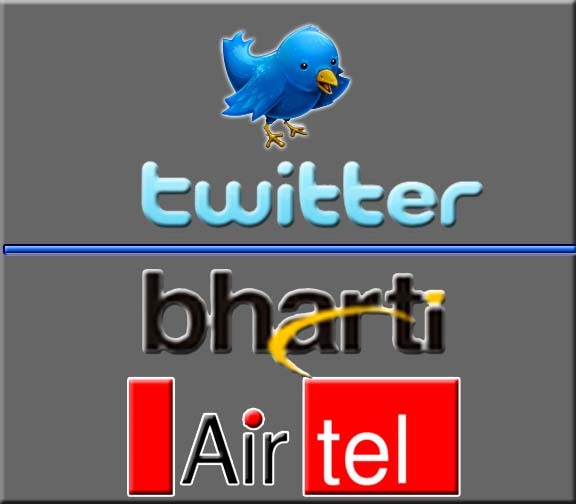 Though Twitter did not divulge any plans of partnering with other service providers, Bharti Airtel's Web site said that its 'exclusive' tie-up with Twitter will last only four weeks, after which some of the other service providers in India may also start offering the service. Airtel further said that it wants to fully exploit its exclusivity period so as to ensure that consumers largely associate Twitter with the Airtel brand.